How can I strengthen my knees? 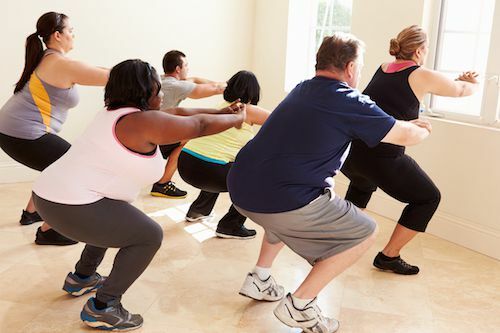 There are many different knee exercises you can do to strengthen the joints and the muscles and connectors that control and support them. Make sure you stretch your quads and calves regularly to keep them from getting too tight. Walk up stairs and build quad muscle strength. Activities like the hamstring curls with an exercise ball build the backs of your legs—prop your feet up on an exercise ball, lift your hips off the ground, and pull the ball toward yourself using just your legs. You can also do this while standing. Hold onto a chair or counter to balance, and then bend your leg at the knee so your foot rises straight behind you. Balance exercises strengthen your knee joints as well. Stand on one leg and gently swing the other leg side-to-side. Balancing on one leg and gently bending your supporting knee is another option. The best way to build up your knee joints, of course, is to use a plan tailored for your needs. Our teams at Castle Pines Physical Therapy and Cherry Creek Physical Therapy are happy to help you get the joint care you need. Make an appointment online, or by calling our Colorado offices at (303) 805-5156. When should I replace my basketball shoes? Basketball shoes should actually be replaced fairly frequently. Like for runners, shoes should be replaced every 350-500 miles or so—which takes a little under 70 total hours of running. The hard pounding from sprinting, jumping, and twisting back and forth in basketball quickly breaks down the supports in your court shoes and compromises the overall stability of the footwear. This can contribute to overuse injuries in your feet and ankles, which can cause additional problems in your knees, hips, and back. That’s why replacing worn shoes before they have a chance to contribute to injuries is so important. Practically speaking, how often you replace shoes will depend on how much basketball you play. Professional players typically replace their footwear after a few games. College and highs school players usually only need to replace their shoes every couple of months, depending on how many hours they practice and play in game. One thing is for sure: if you’re noticing aches and pains during or after playing, it’s time to replace your shoes. Let our team at Podiatry Associates, P.C. know if you experience foot pain from worn out shoes. You can reach our Castle Pines, Parker, or Cherry Creek, CO, offices online or by calling (303) 805-5156. What should I look for in a basketball shoe? Basketball shoes are nearly as important to the sport as the ball and the hoops. That’s why finding basketball shoes that fit and support you correctly is so necessary. Make sure the rubber sole has a tread pattern that’s helpful for rapid direction changes, particularly on court surfaces. Consider whether you want the ankle support from high tops, or you’d rather have the lighter low top styles. Make sure the arches meet your support needs. Check out the shock absorption, too. Some models have special liners and other interior features to help absorb and distribute hard impacts when you land jumps. It’s typically best to get your basketball shoes fitted by a professional who understand sports footwear and can help you find the best pair for your style of play. The general rules for fitting footwear still apply—have your feet measured, try on shoes late in the day when your feet are at their largest, and only pick comfortable pairs. 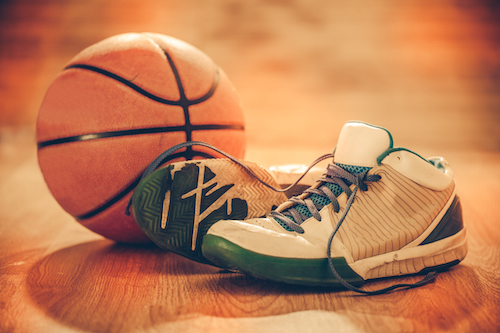 If you’re having any trouble finding basketball shoes, let our team at Podiatry Associates, P.C. help you. Make an appointment at one of our locations in Parker, Castle Pines, or Cherry Creek, CO, through our website or by calling (303) 805-5156. How do I know if I’m wrapping my ankle correctly? An ankle wrap with a compression bandage is a common way of stabilizing a joint and discouraging swelling without entirely restricting movement, but it needs to be done correctly. A wrap that’s too loose won’t help at all, while one that’s too tight can cut off the blood flow to the rest of your foot. When you wrap your ankle correctly, the joint should be stable but still able to move somewhat. The bandage should cover your foot and several inches above your ankle joint. You should still be able to slide a finger under the wrap. If it’s done incorrectly, a number of problems might develop. A bandage that’s too loose won’t alleviate swelling. One that’s too tight may cause numbness, tingling, or coldness in your foot. You may notice your skin turning blue or redness that wasn’t there when you put the bandage on. If this is the case, your wrap is too tight and needs to be re-adjusted immediately. Let our team at Podiatry Associates, P.C. know if you’re having trouble with ankle wraps. We’ll be happy to help you. Contact us online, or call our Parker, Cherry Creek, or Castle Pines, CO, offices at (303) 805-5156. What is the R.I.C.E treatment? RICE treatment is a common and effective first aid therapy for soft tissue injuries, like sprains. 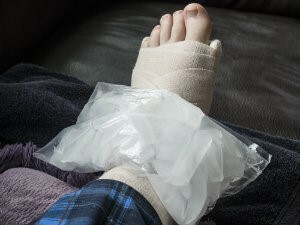 It’s actually an acronym, standing for “Rest, Ice, Compress, and Elevate.” It explains the basic steps you follow to decrease swelling and inflammation and encourage healing immediately after you injure yourself. Rest involves stopping the activity that caused the problem, and taking a break from everything that causes discomfort in your injured limb. Ice involves applying a cold pack to the damage as soon as possible. Cold decreases and discourages swelling around an injury. A compression bandage stabilizes your lower limb while making it harder for fluid to leak into other tissues. Elevating your foot prevents gravity from pooling fluid in your foot while you heal. RICE treatment is meant to be a temporary first aid method for handling an injury, but it is effective. After the initial pain is gone, you’ll need to move on to rehabilitation and reconditioning. Our team at Podiatry Associates, P.C. in Castle Pines, Cherry Creek, and Parker, CO, can help you through the whole process. If you’re not sure how to use RICE, or you need more treatment for an injury, call for an appointment at (303) 805-5156. What types of injuries require walking boots? 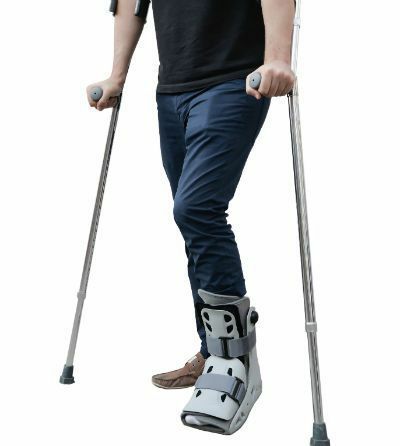 Walking boots or walking casts are used to treat and accommodate many different types of injuries, from small to serious. Because they are lighter than traditional casts and allow you to continue partially using your limb as you heal, they are an increasingly popular option. Typically, small foot fractures or even shin fractures require these boots. A foot that needs to be immobilized after surgery may be kept still in this type of brace, too. Severe sprains, Achilles tendon injuries, and torn muscles are all often treated with this style of cast. 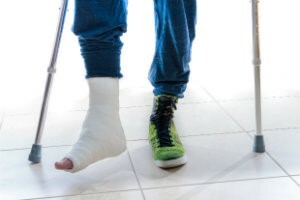 However, whether or not you require a traditional hard cast or a walking boot for your injury depends on your unique needs and individual discomfort. A full examination and diagnosis by experts like our team at Podiatry Associates, P.C. can determine what you need to best treat your injury. If you’re concerned about foot pain or wonder if your injury needs a walking cast, contact our Cherry Creek, Castle Pines, or Parker, CO, offices right away. You can reach us by calling (303) 805-5156 or through our online request forms.